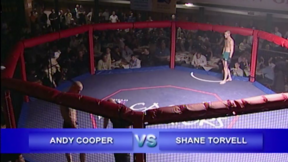 Cage Rage 2 full event replay from February 22, 2003 in London, United Kingdom. 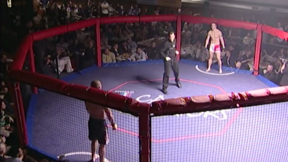 Paul Taylor vs Jess Liaudin Cage Rage 2 Sat, Feb 22, 2003 (27:41) Paul Taylor vs Jess Liaudin Cage Rage 2 from February 22, 2003 in London, United Kingdom. Ronaldo Campos vs Andy Walker Cage Rage 2 Sat, Feb 22, 2003 (8:19) Ronaldo Campos vs Andy Walker Cage Rage 2 from February 22, 2003 in London, United Kingdom. Marc Walder vs Graham Connelly Cage Rage 2 Sat, Feb 22, 2003 (10:57) Marc Walder vs Graham Connelly Cage Rage 2 from February 22, 2003 in London, United Kingdom. 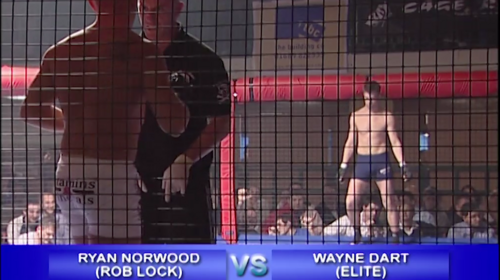 Ryan Norwood vs Wayne Dart Cage Rage 2 Sat, Feb 22, 2003 (8:27) Ryan Norwood vs Wayne Dart Cage Rage 2 from February 22, 2003 in London, United Kingdom. 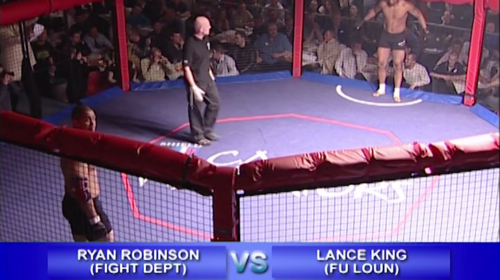 Ryan Robinson vs Lance King Cage Rage 2 Sat, Feb 22, 2003 (17:45) Ryan Robinson vs Lance King Cage Rage 2 from February 22, 2003 in London, United Kingdom. 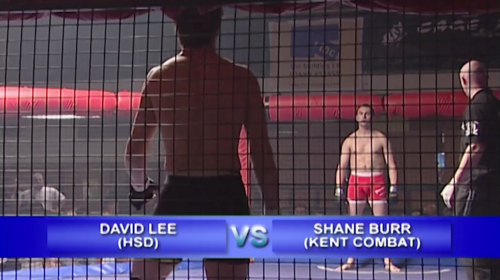 David Lee vs Shane Burr Cage Rage 2 Sat, Feb 22, 2003 (9:00) David Lee vs Shane Burr Cage Rage 2 from February 22, 2003 in London, United Kingdom. Chris Cummins vs Kasan Hipkiss Cage Rage 2 Sat, Feb 22, 2003 (9:12) Chris Cummins vs Kasan Hipkiss Cage Rage 2 from February 22, 2003 in London, United Kingdom. 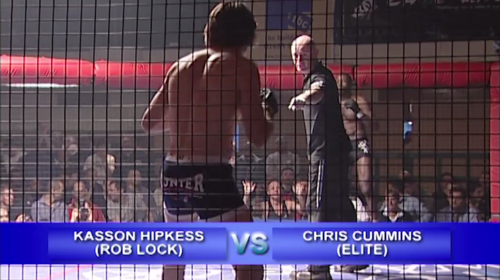 Glen Appleby vs Stefan Johnson Cage Rage 2 Sat, Feb 22, 2003 (11:13) Glen Appleby vs Stefan Johnson Cage Rage 2 from February 22, 2003 in London, United Kingdom. Jason O'Connor vs Leon Dickens Cage Rage 2 Sat, Feb 22, 2003 (5:34) Jason O'Connor vs Leon Dickens Cage Rage 2 from February 22, 2003 in London, United Kingdom. 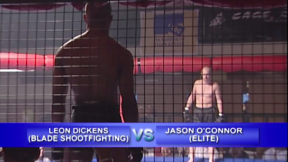 Tom Gerald vs Jawad Khan Cage Rage 2 Sat, Feb 22, 2003 (20:34) Tom Gerald vs Jawad Khan Cage Rage 2 from February 22, 2003 in London, United Kingdom. Philly San vs Vaughan Lee Cage Rage 2 Sat, Feb 22, 2003 (16:02) Philly San vs Vaughan Lee Cage Rage 2 from February 22, 2003 in London, United Kingdom. 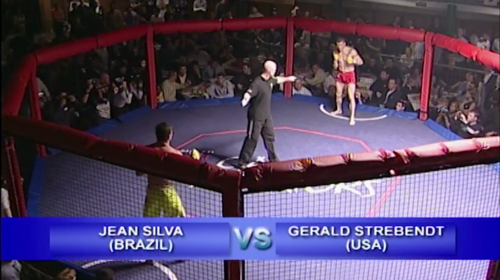 Gerald Strebendt vs Jean Silva Cage Rage 2 Sat, Feb 22, 2003 (10:09) Gerald Strebendt vs Jean Silva Cage Rage 2 from February 22, 2003 in London, United Kingdom.